Warm light from August sunset illuminating buildings in Chinatown, Victoria BC. 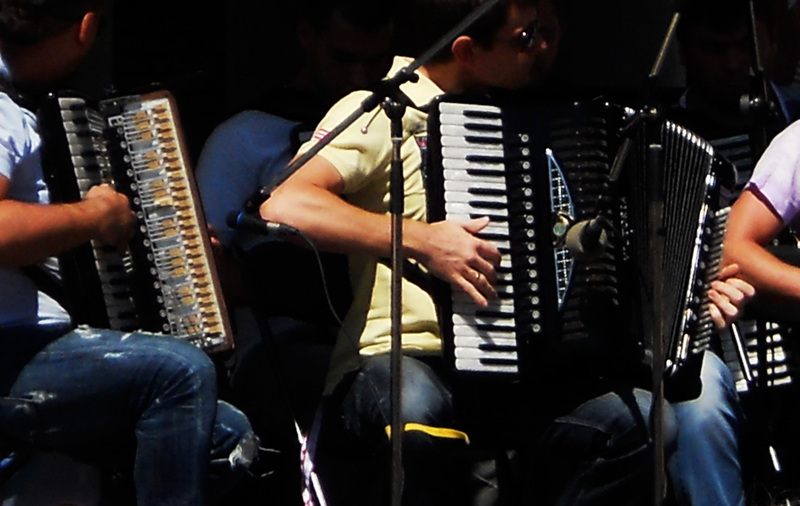 Amazing accordion group from Moldova – Contertino – at the International Accordion Festival. 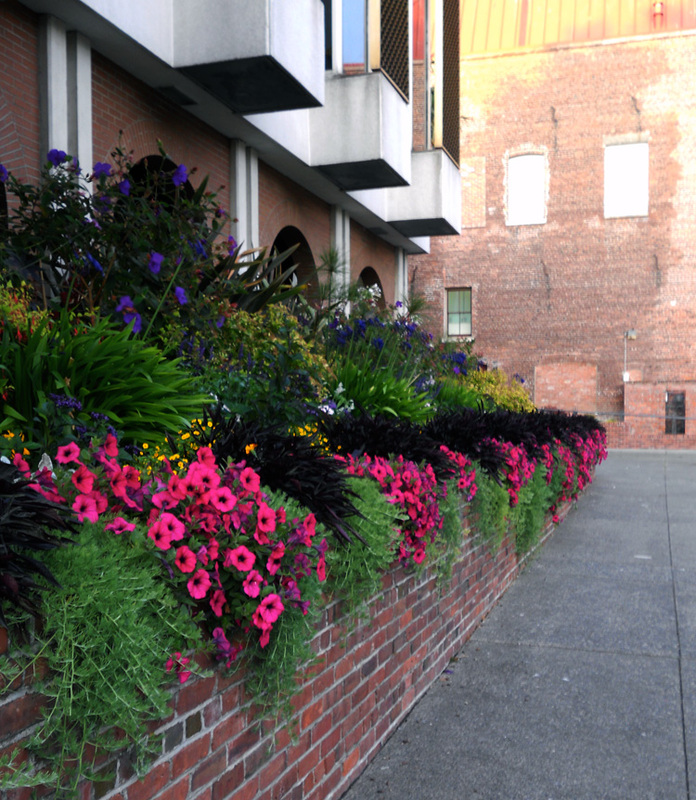 The evening air accentuates the delicious fragrance if this flower bed at City Hall. 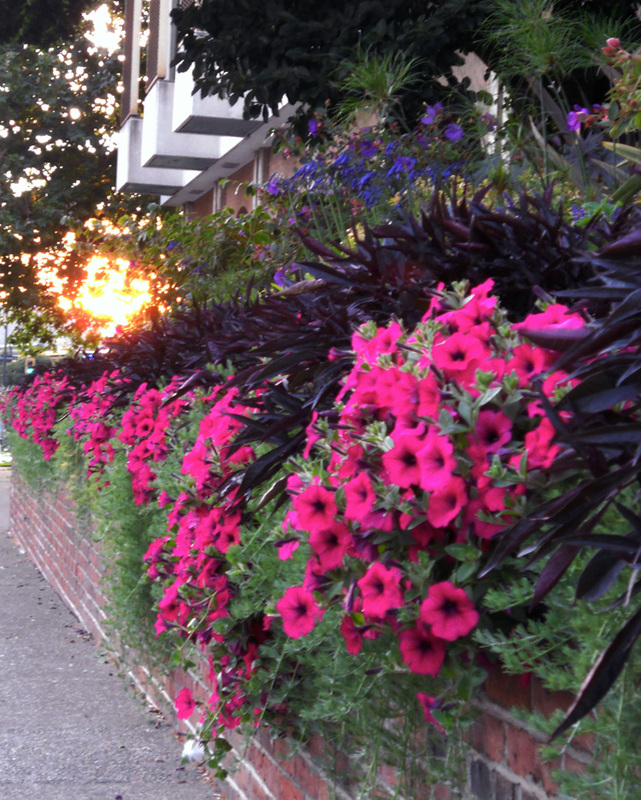 Flowers at City Hall with glimpse of the setting sun. 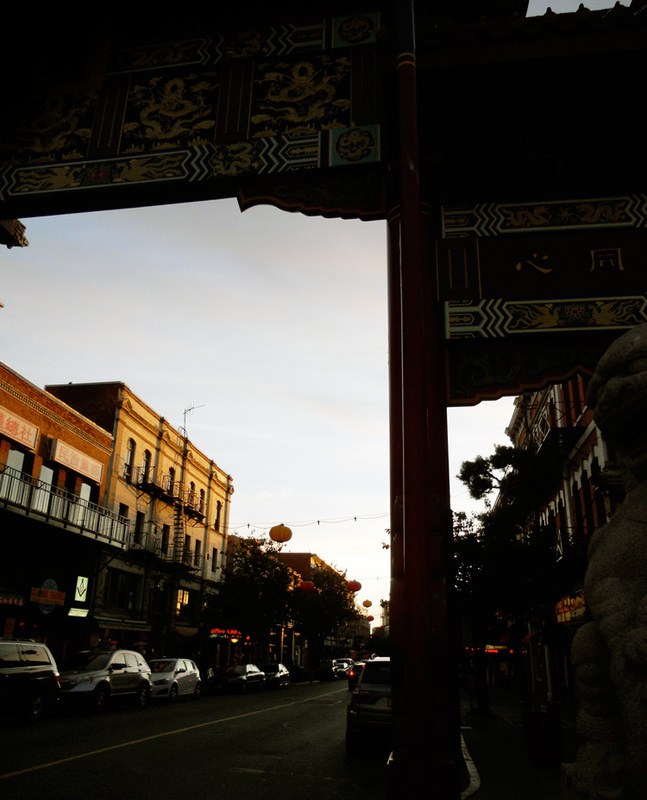 Chinatown Sunset, underneath the Gate of Harmonious Interest. 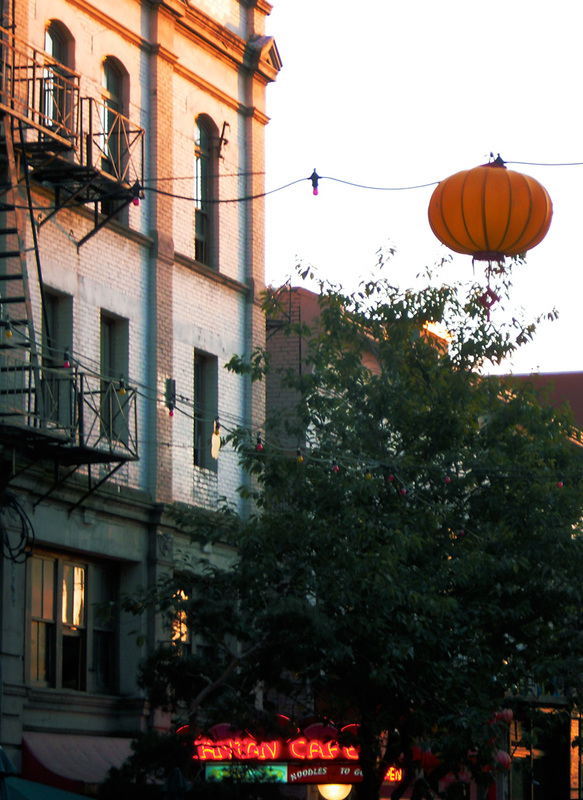 Chinatown Sunset, detail with yellow lantern.